Dr. Bruce Leff is Professor of Medicine at the Johns Hopkins University School of Medicine in the Division of Geriatric Medicine and Gerontology. He is the Director of the Center for Transformative Geriatric Research. He is board certified in Internal Medicine and Geriatric Medicine. Dr. Leff is the Chair of ABIM’s Geriatric Medicine Board. Dr. Catherine B. Johnston is the Director of the Palliative Care Program at Banner University Medical Center is Tucson, Arizona and is Professor of Medicine at the University of Arizona. She is board certified in Internal Medicine, Geriatric Medicine and Hospice and Palliative Medicine. Dr. Johnston is the immediate former Chair of ABIM’s Geriatric Medicine Exam Committee. The blueprint is a vital tool to aid diplomates in their exam preparation. 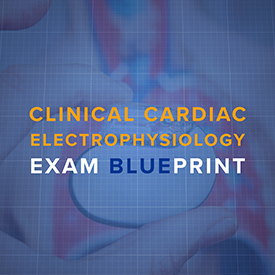 The blueprint provides physicians with an outline of the exam’s content and shows the percentage of exam questions that one should expect to answer in each category. 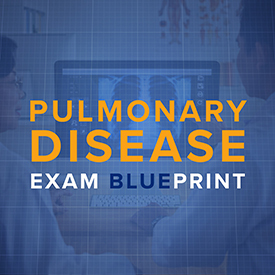 The blueprint review is a crucial part of improving MOC in that it allows physicians to share data about their real-world clinical experience and serves to make the exam more relevant by asking about the prevalence of common diseases and the importance of clinical tasks such as diagnostic testing. Engaging physicians in the blueprint review process ensures the questions you see on the exam are reflective of what you see in practice (with nearly 5,000 physicians having participated to date). This endeavor really has been a community effort. 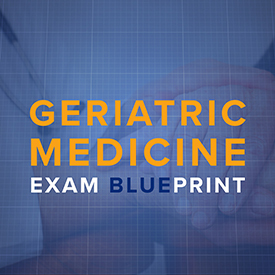 Geriatricians who are certified by the American Board of Family Medicine also contributed to the blueprint review. Medical specialty societies played an important role in raising awareness and encouraging their members to participate in the process. 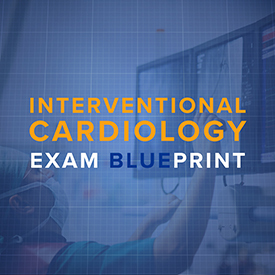 Updated blueprints are just one example of ABIM’s ongoing partnership with the internal medicine community to ensure that the MOC process is meaningful and relevant to physicians. We previously studied how closely exam questions reflected conditions internists see in practice, overhauled our governance structure to include more practicing physicians and actively engaged physicians from all over the country in informing updates to our programs. We are a better organization because of you. We hope that your next exam experience reflects these changes, and thank you for your continued insights and feedback on ABIM’s programs. When a blueprint opens for review, everyone holding valid certification in that subspecialty receives an email invitation with instructions on how to access it.